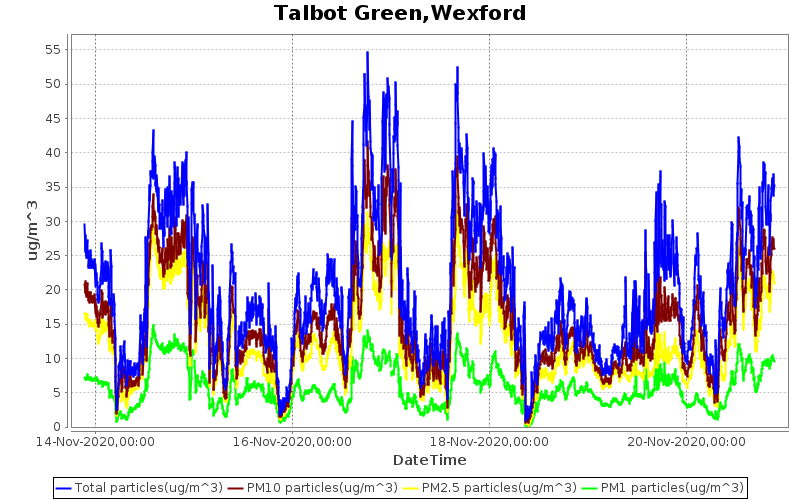 Air monitoring stations are installed at Talbot Green, Wexford Town and in Ard Mhicil, New Ross. Similiar air monitoring equipment is due to be installed in Enniscorthy and Gorey during 2017. This equipment measures the amount of small particles in the air such as smoke and emissions from fires and diesel engines. 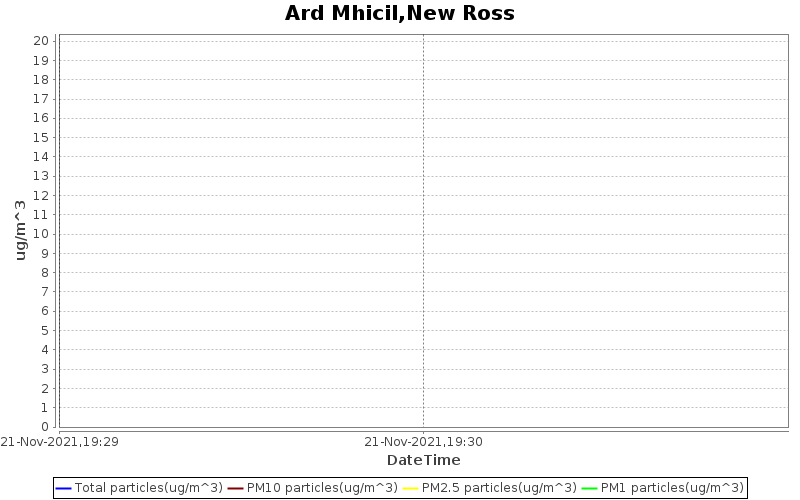 It then calculates how much of these particulates are in each metre3 air. 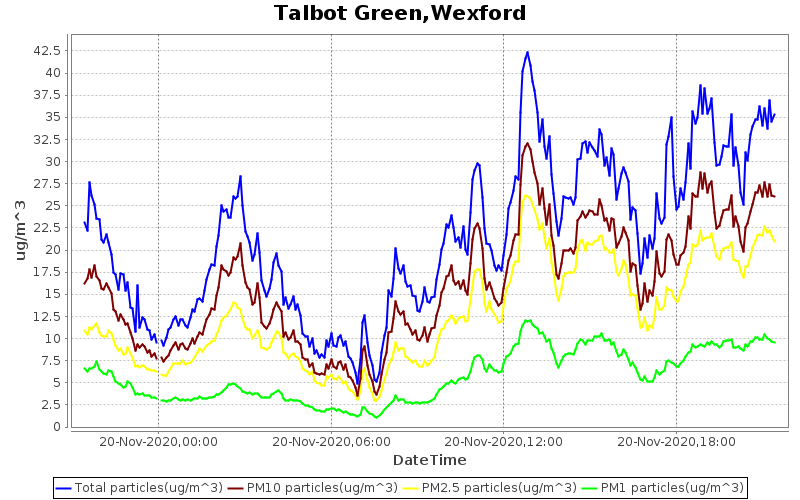 The graphs below are refreshed every 15 minutes and reflect the 24 hour and 7 day data air quality in Wexford Town and New Ross. These results should be compared to the Air Quality Index for Health as developed by the Environmental Protection Agency (EPA) in conjunction with the Health Service Executive (HSE) as given below. The Air Quality Index for Health (AQIH) can be used by health professionals to help patients who are sensitive to air pollution, manage their condition and reduce their symptoms. As a health professional, you may be asked by your patients about whether they belong to an at risk group. Adults and children with heart or lung conditions including asthma are those considered to be at higher risk from air pollution. People in at risk groups may experience symptoms when air quality is fair, poor or very poor however those who are highly sensitive to air pollution may even experience symptoms when air quality is good. The general population may experience symptoms when air quality is poor or very poor.